9/3/15 – Needed a project to busy my hands while I relax at night so dug this out. I’ve decided to add another row of blocks before borders. It’s the perfect little project to satisfy the need and uses up some of the leftover cut pieces. Win/win! After this top is finished, I’ll retire the pattern. This will be the 4th Winding Ways quilt (counting the dog quilt) I’ve made. Time for a different challenge! 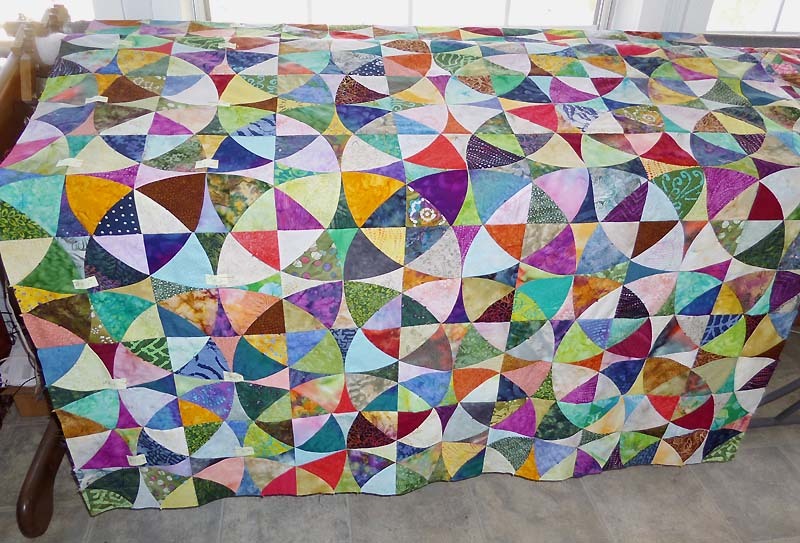 2/09/15 – Queen-size top is assembled, awaiting decisions on borders and hand quilting. Have set this top aside to stitch and assemble a duplicate sofa-size quilt for an urgently needed gift. 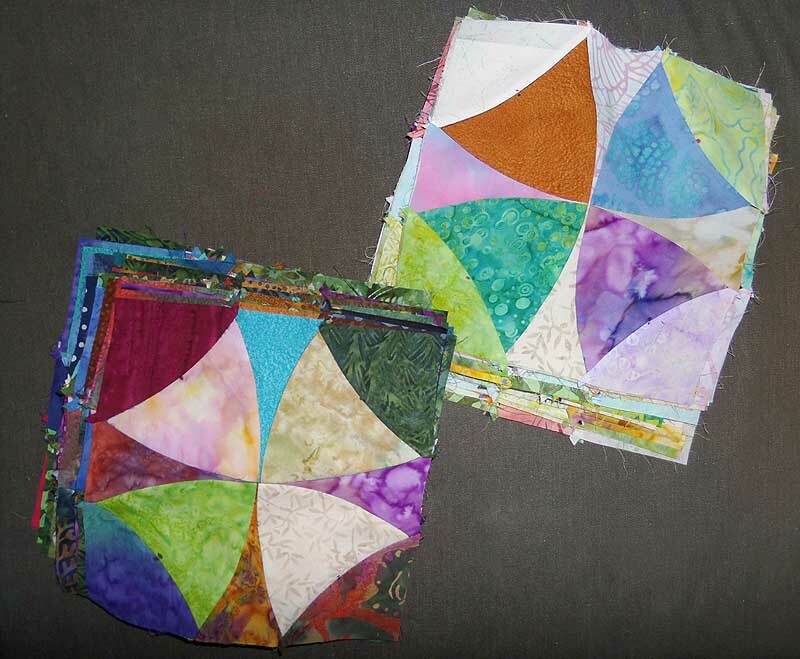 1/22/15 – All the blocks are hand stitched and ironed. Ready for top assembly. 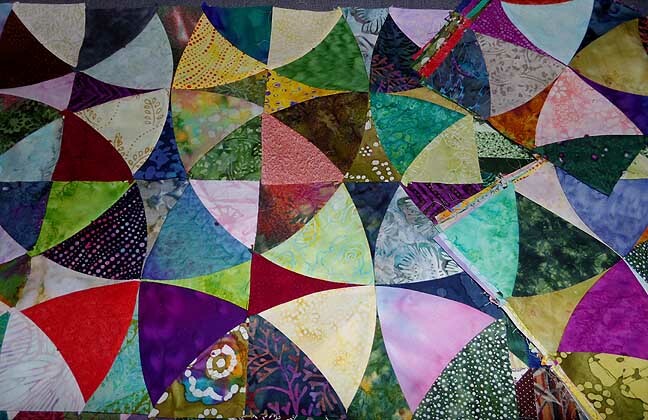 1/17/15 – Most of the blocks are assembled for making a queen+ size top. I hope to finish them next week. 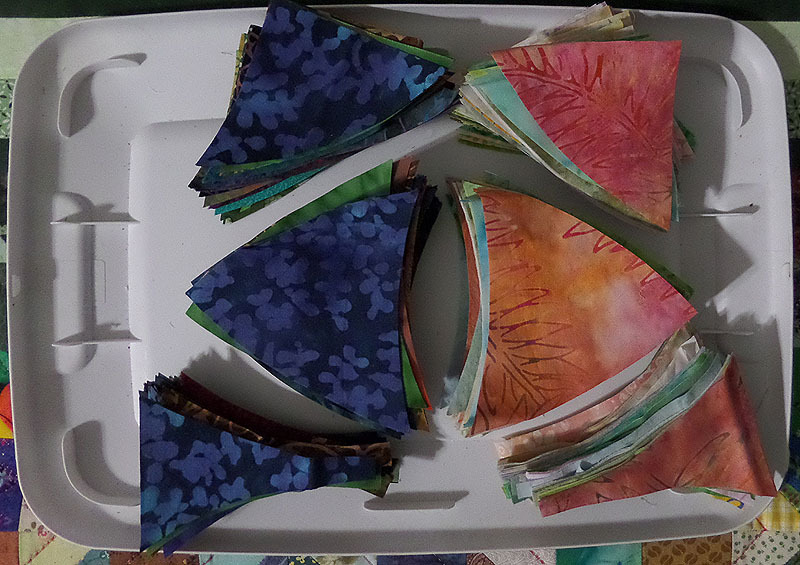 12/1/14 – Began cutting light and dark batik pieces.